The Abbaye de Vaucelles in the Haut-Escaut valley is a Cistercian abbey. It has stood since 1132 when the foundation stone was laid and according to their website, in the 13th Century it had the biggest Cistercian church in Europe, bigger than the Notre Dame in Paris. The abbey, as it stands today, consists of two buildings: the Abbot’s palace and the Monks’ wing. The latter has a number of magnificent rooms one of which is the Salle de Moines, the Monks’ hall, where special events are held. Two rows of five stone columns rise into arches and form a characteristic stone vault. The architecture is dramatic and majestic with very little ornamentation and a quiet simple palette that suits a modern sensibility towards interior spaces, providing a magnificent venue for cultural and artistic events. Happily, Google has a virtual tour of the Salle de Moines where you can get a sense of the room. 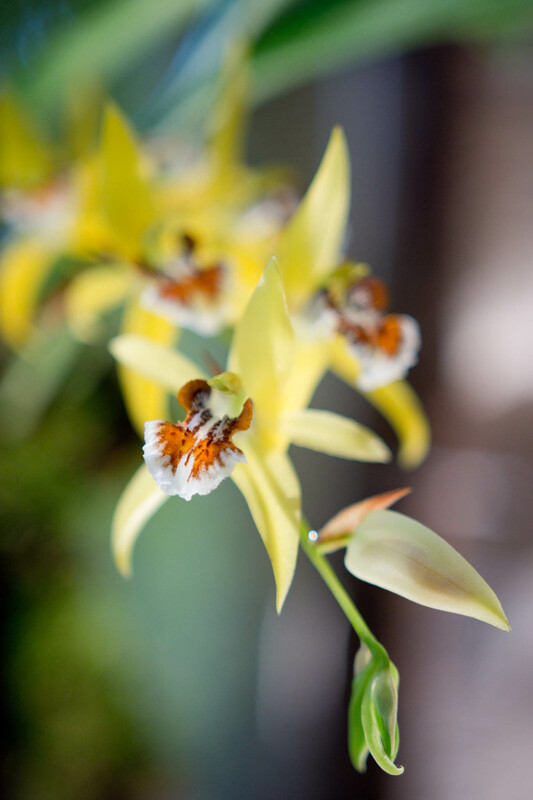 This weekend past we visited the Abbey to see the 26th International Orchid Exhibition, XXVIème Exposition Internationale d’Orchidées. The mornings are fresh at the moment, tip-toe on the spot kind of fresh. The pebble stone driveway leading up to the abbey was lined with bulb and plant sellers selling roses, agapanthuses, peonies, anemones and giant amaryllises, amongst an endless list of exquisite flowers and bulbs ready for planting. Although irresistable, the cold kept us from lingering too long, it was still early. The doorway to the Salle de Moines is unassuming and looks rather more like a service entrance but what a deception it is. We entered center of the columns to a stunning symmetrical view and in a heart beat became immediately cognizant of our other senses. 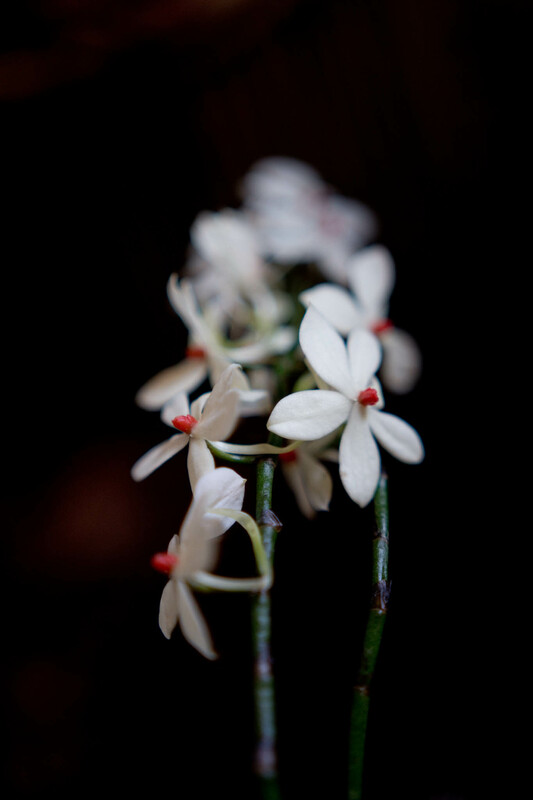 The warmth needed for the delicate plants warmed our cold faces and an all-encompassing, uplifting smell of orchid flowers, new leaves, bark and fresh earth transported us to a tropical haven. It was a true sensory delight. 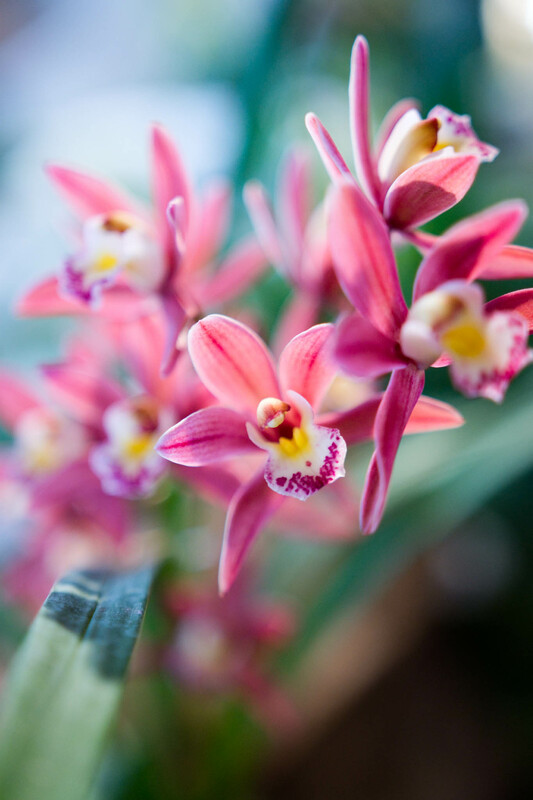 Growers from all over the world displayed magnificent, rare and endangered orchids in what could not have been a more appropriate space for these flowers. 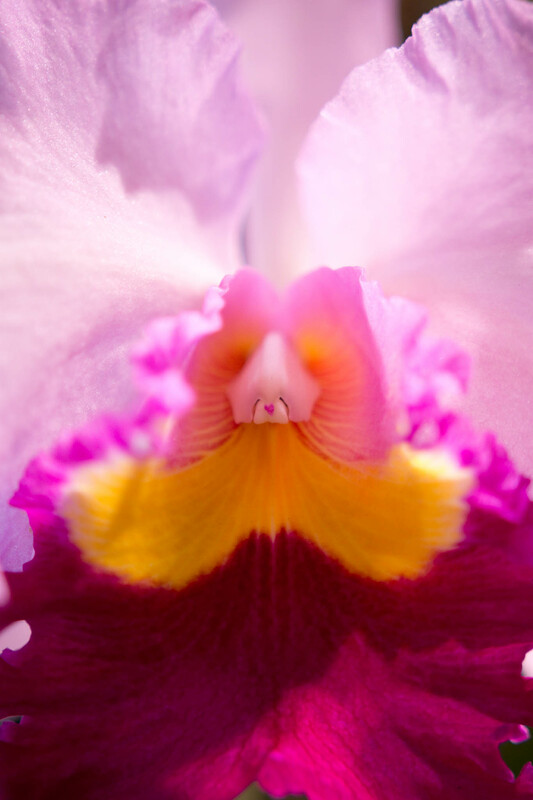 The sun shone all morning, its light spilling in from the high windows of the abbey illuminated every orchid brilliantly. As you can imagine, the environment commanded a sense of veneration that not a single visitor would have missed. 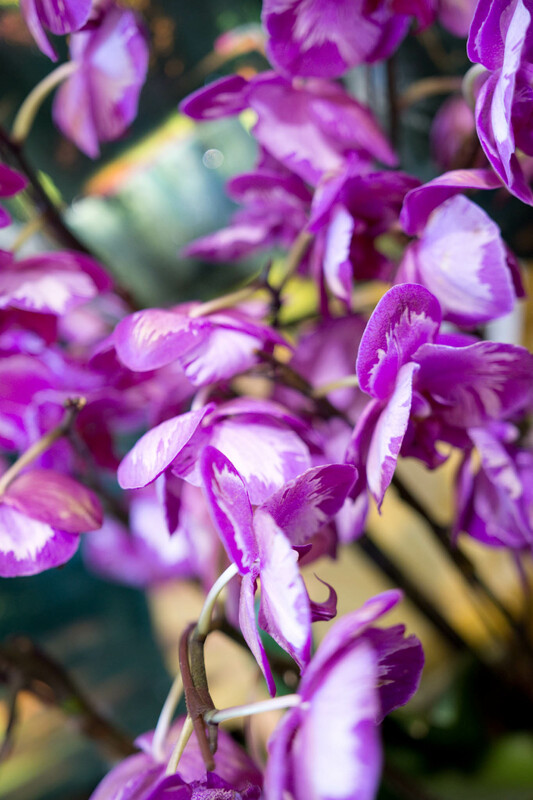 If you do intend to visit in the future, there was an entire room dedicated to orchid sellers with many of the orchid varieties on display available for purchase. I’ve happily discovered a handful of excellent growers in France and Belgium. On the CROP linen Facebook page, we have an album of more than 30 images from the exhibition. 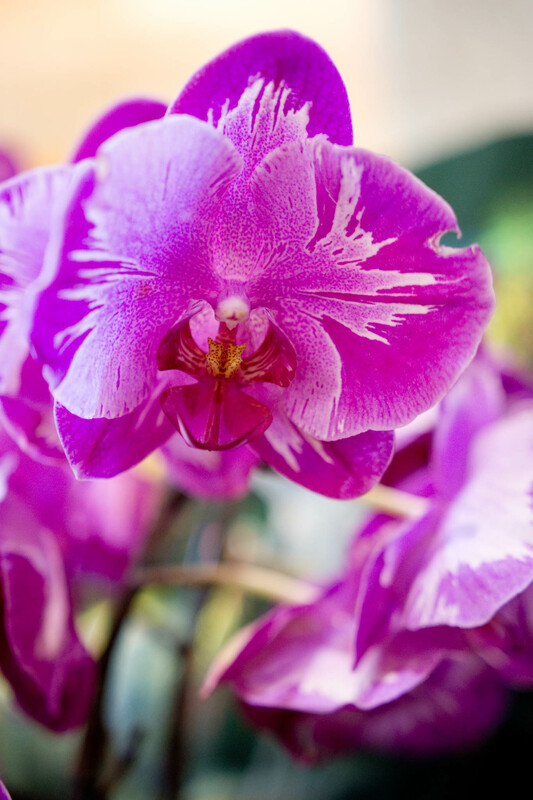 5th & 6th: Unfortunately the final orchid was not labelled.